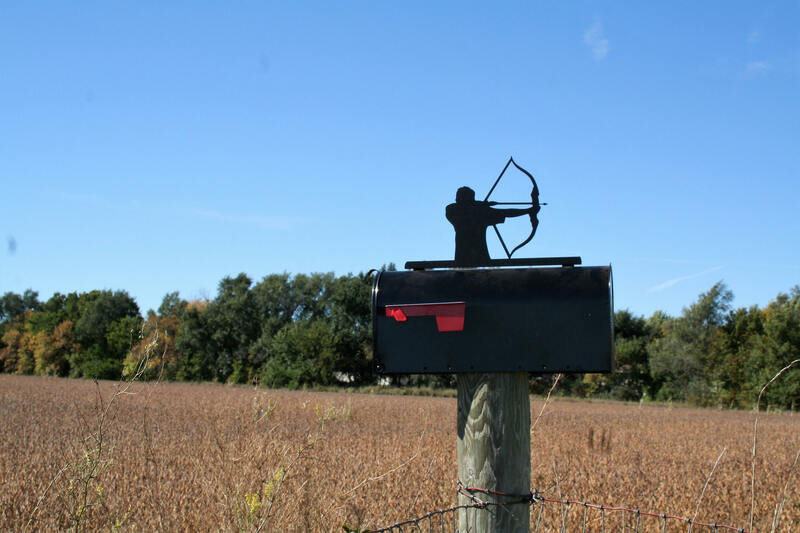 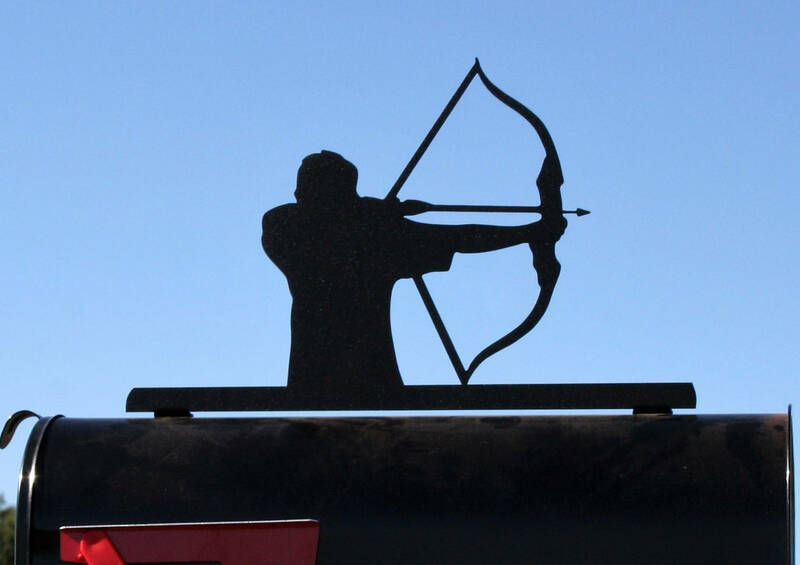 Metal Archery with bow and arrow topper is cut from steel about as thick as a nickel. 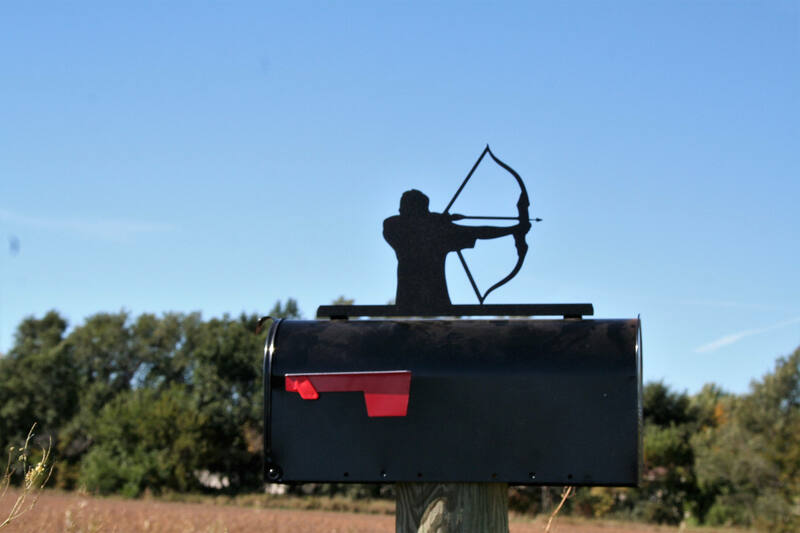 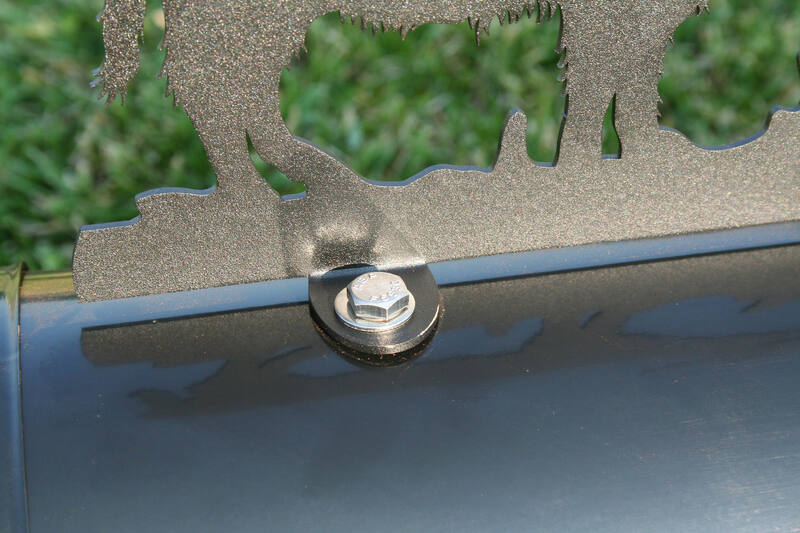 Tabs are bent for easy attachment to mailbox. 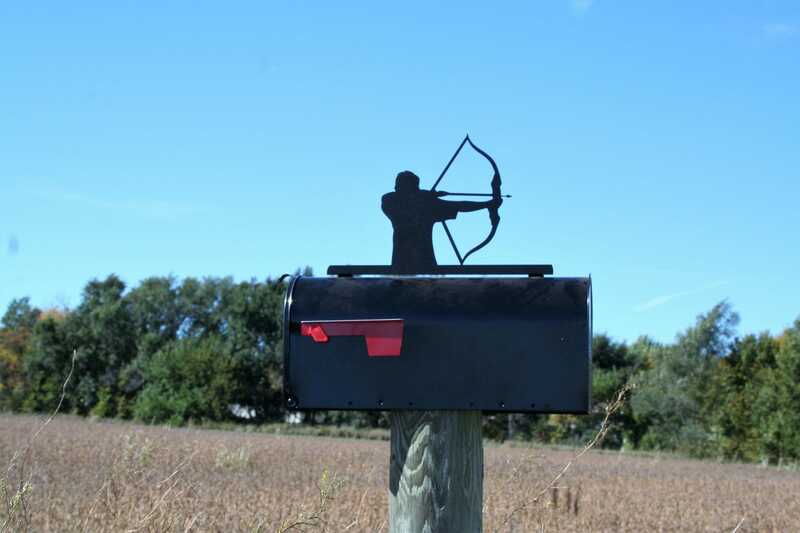 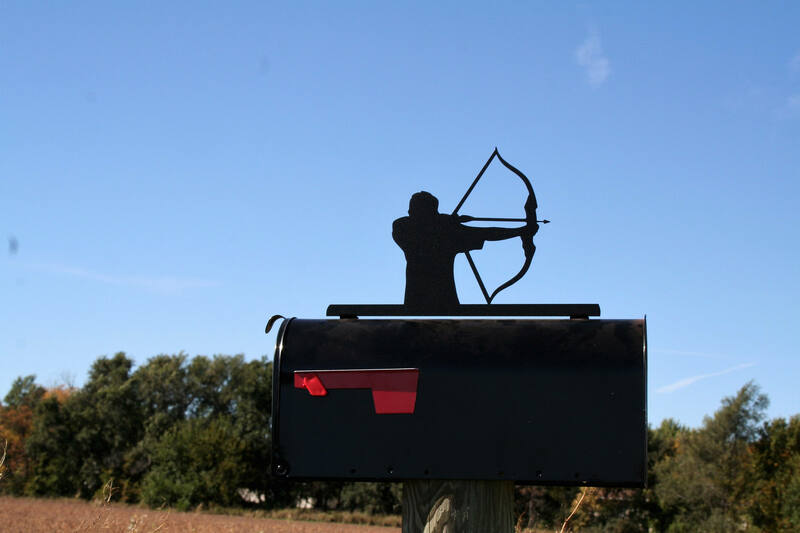 This large mailbox topper is 14" wide and 9 1/2" tall. 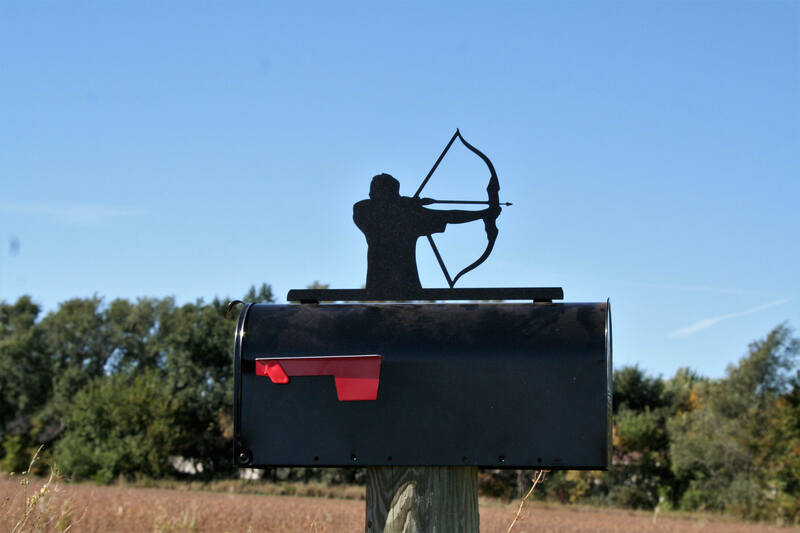 It fits onto standard mailboxes and looks size-appropriate on large boxes as well! 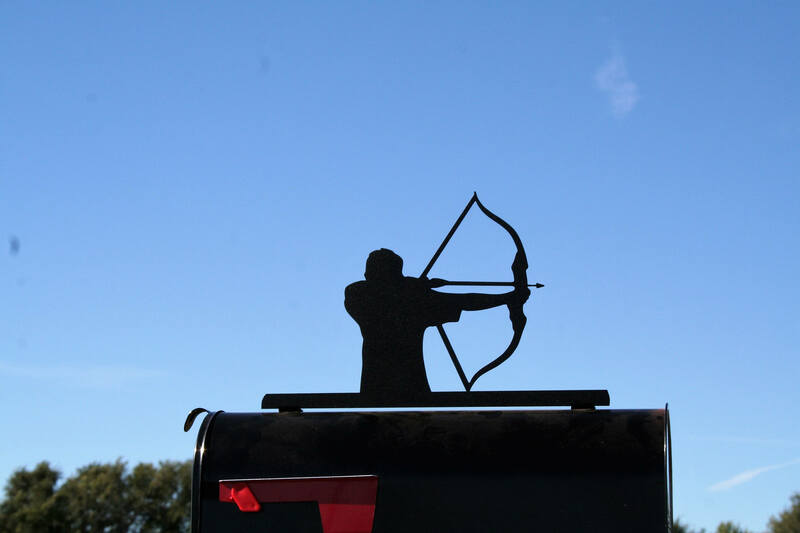 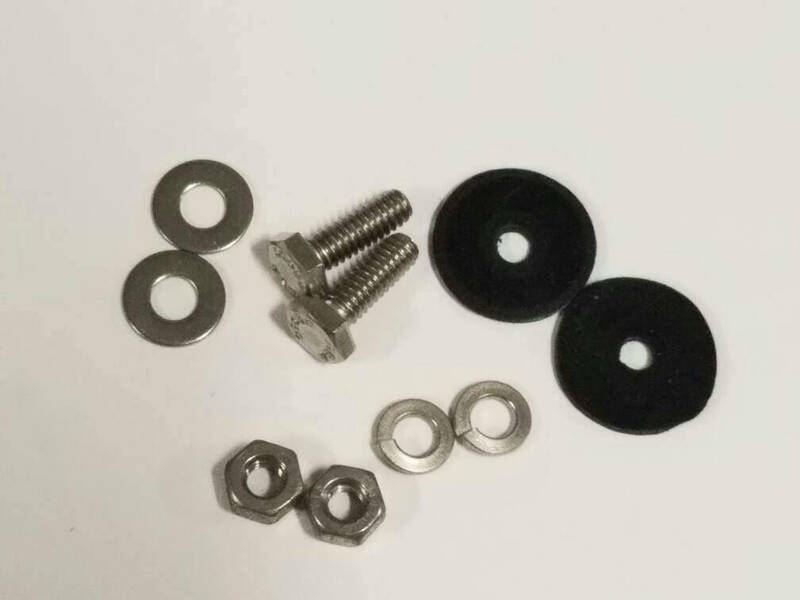 Sign has been powder-coated matte black for a durable and long-lasting finish.